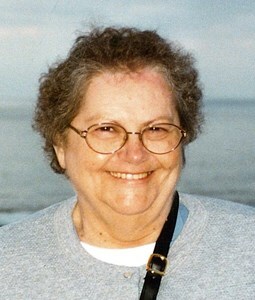 Newcomer Family Obituaries - Dorothy Louise Poe 1928 - 2018 - Newcomer Cremations, Funerals & Receptions. Dorothy L. Poe, age 90, passed away Tuesday, September 11, 2018. She was born on July 16, 1928 in Pataskala, OH. She retired as a cook from Southwestern City Schools after 20 years of service and was a member of Southwood Church of Christ. Dorothy enjoyed volunteering at the McDowell Senior Center where she met a lot of her close friends. Surviving family includes children, Donald Poe (Connie Dietz), Sharon Snow, Mary (David) Williams; grandchildren, Angela Poe (Justin Williamson), Scott (Kristin) Poe, Brian (Pamela) Snow and Eric Snow; great-grandchildren, Neko, Robbie, Zoey, Jack and Reagan; also survived by many nieces and nephews. Preceded in death by husband of 45 years, Donald Poe; 2 sisters and 5 brothers. Visitation will be held Friday, September 14, 2018 from 5-8 p.m. at Newcomer Grove City, 3393 Broadway. Funeral service will be held Saturday, September 15, 2018 at 10 a.m. at the funeral home. Interment to follow at Forest Lawn Memorial Gardens, Columbus, OH. In lieu of flowers, memorial donations may be made in Dorothy's name to the Mid-Ohio Food Bank by visiting, www.midohiofoodbank.org/donate-now or OhioHealth Hospice by visiting, https://foundation.ohiohealth.com. Add your memories to the guest book of Dorothy Poe. Aunt Dorothy was always like a breath of fresh air. I always enjoyed my visits with her and loved her sense of humor. Conversations were always filled with lots of laughter and sunshine. I will really miss her but know she is now with her loved ones in heaven and keeping them in stitches with her humor.